It’s been a few weeks since I was sick with a variety of allergies and sinus infections. 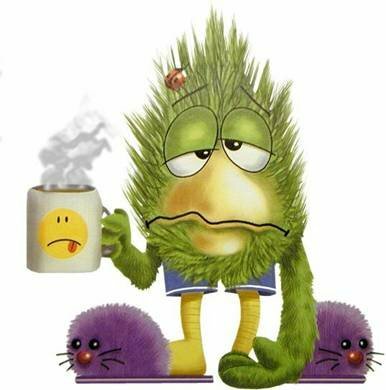 I’m not usually prone to sickness, so being sidelined by one illness after another for two months was…well, it wasn’t fun. The worst part was the cough – the dry, constant, asthmatic, non-productive cough. I was a miserable person for two months and I’m fairly certain my family was ready to put my out of the house. Again, it’s been a few weeks since I was sick, but I find myself still feeling the effects of that illness. The dry, constant, asthmatic, non-productive cough was so bad, I actually bruised my left rib muscles. I ache when I try to exercise, move around or lie down – pretty much all the time now. I’m back on meds and desperately trying to remember what it was like to be whole and well. But I can’t really complain, since there are lingering effects in everything we experience. There’re consequences, if you will. Butterfly effect. One thing affecting another. One word building on another. One acting, doing, while affecting what is, what will be. A part of life, a part of life’s experience. Is that it, though? Something we experience, something we find ourselves at the mercy of? Or do we take hold of the moment and become the lingering effect? Ha! I mean, the right track. Or maybe I meant to write the write track. I do have a purpose and responsibility to my calling…to my words, my blog, my books. What happens when they are released? Who is going to read them? Now? Two years from now? Twenty years from now? My work will live on long after I’ve abandoned my quest for immortality and passed onto the next life. How will my work affect others? I consider the books I read and reread, how they’ve affected my life – even if it was just to entertain me. Those authors are gone, but they’ve left their lingering effects on me. I’ve got great plans – but am I on the write track? Or even the right track? Will I be a lingering effect? I don’t know. It might be too early to tell. Or maybe I really do think too much.